Physics Buzz: And the 2013 Nobel Prize for Physics goes to . . Primarily, there's the issue of deciding who of the five living people most strongly associated with the particle would actually receive the award. In 2010, the American Physical Society awarded the Sakurai Prize to six potentially deserving Higgs Boson Laureates alive at that time: Carl R. Hagen, Francois Englert, Gerald S. Guralnik, Peter W. Higgs, Robert Brout and T.W.B. Kibble. Brout has since passed away, leaving five deserving physicists. Unfortunately, the Nobel Prize can only be awarded to three people at a time, so at least two people will have to be left off the podium if the Higgs Boson wins this year. That may or may not be enough reason to put it off for a little while. After all, the work was done a long time ago, and someday there will be three or fewer physicists in the running. Extrasolar Planets - The most promising alternative I can think of is the discovery of planets in distant solar systems. From a physics-centric point of view, it's not as compelling as the Higgs Boson. But for humanity in general, I suspect the existence of distant planets, including some that are habitable, is a more compelling discovery. After all, the question of whether or not we're alone in the universe is one of the most significant issues conceivable. In other words, I think that if the people who choose the physics Nobel winners are mostly physicists themselves, the Higgs wins it. If they're mostly non-physicists, you can bet on extrasolar planets. Slowed and Stopped Light - Slowing light to a crawl, and bringing it to a complete halt, is ridiculously cool and fascinating. It also looks to have lots of applications for communications, computation, and data storage. The phenomenon is more properly known and Electromagnetically Induced Transparency. I have no doubt it will win a prize someday. If it does this year, one of the winners will be only the third woman Physics Nobel Laureate ever - Lene Hau of Harvard. Dark Matter - I cross my fingers every year in the hope that one of my physicist heroes will win. In the 1970s, Vera Rubin made the startling discovery that galaxies are much heavier than they should be, based on the matter we can actually see anyway. She weighed the galaxies by looking at the rate that stars at their outer edges orbited. Simple calculations showed that there must be more there than meets the eye. We still aren't sure what the extra stuff is, and that's why it's simply called dark matter, but thanks to Rubin we're certain it's there. One hitch, with regard to the Nobel Prize, is that Rubin herself has in the past argued that the stars orbits may be too speedy not because of dark matter, but instead because Newton's laws of gravity break down at large distances. The fact that there's little support for this view, and that things like the Bullet Cluster collision provide powerful support for the existence of dark matter, suggest the Rubin is out of step with her colleagues. How do you award a Nobel to a person who doesn't believe in the stuff that's the subject of the prize? Iron Superconductors - The fortune tellers at Thompson Reuters think that along with the Higgs and extrasolar planets, iron-based superconductors known as pnictides have a good chance this year. The materials were first discovered back in 2006, and have been a hot topic in physics ever since. Personally, I think it's a bit early for pnictides. Until they become practical for use in commercial devices, I can't see the Nobel committee handing them the prize. Among the others on the short list of physics Nobel candidates: Superheavy Elements, Carbon Nanotubes, Quark-Gluon Plasma, Photonic Crystals, LED Lasers and Metamaterials. Think it's a given that Lene Hau will eventually win? I saw her speak when I was a young grad student and she blew me away with the quality of her work. DAMOP 2009 at UVA. I think so. The only reason I don't think it will be this year is that the Higgs and extrasolar planets are so prominent. Once those are out of the way, I'm betting on Hau. INTERNATIONAL scientists said they had found signs of the Higgs boson, an elementary subatomic particle believed to have played a vital role in the creation of the universe after the Big Bang. Peter Higgs is an 84-year-old British theoretical physicist who first proposed the existence of the particle in 1964 as the missing link of a grandtheory of matter and energy, what is known as the Standard Model of Physics. 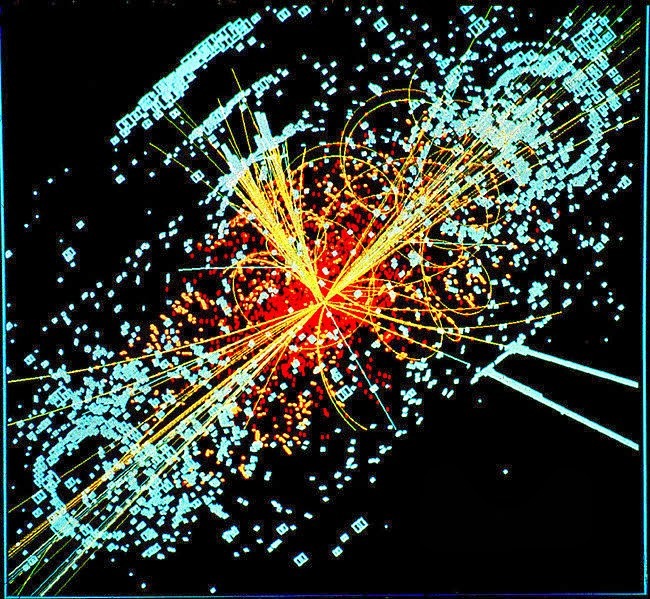 The boson is posited to have been the agent that gave mass and energy to matter after the creation of the universe 13.7 billion years ago, leading some to nickname it the `God particle`. God doesn`t play a particles gamewith the universe. 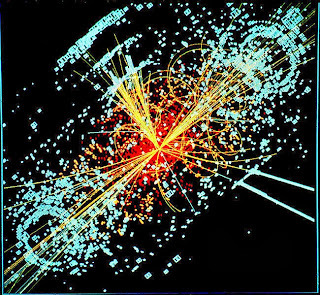 There is no `God particle`. CERN scientists are doing an elusion experirnent for an elusive particle. Findings are only traces of illusion of the elusive boson. There was no Big Bang! Higgs bosons in parallel infinite distance vortex straight!! !